CSTEM: A great opportunity to support our youth! In Hip-Hop news….Houston rapper Trae The Truth sues 97.9 KBXX? I have interviewed and worked with Trae the Truth in the community on many occasions so this must be major for him to do this. This is the official press release from Def Press Public Relations. 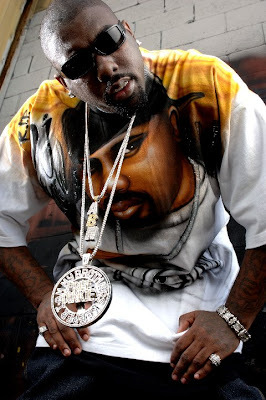 (Houston, TX)—Houston rapper â€œTrae Tha Truthâ€ (nee Frasier Thompson) will be holding a press conference at 11:00 AM on Wednesday, May 5, 2010 at the Harris County Civil Courthouse, 201 Caroline, Houston, Texas, to announce the filing of a lawsuit in the 189th District Court of Harris County Texas against Radio One Inc., which owns and operates Houston radio Station 97.9 KBXX, The Box. The civil case alleges a consistent pattern of business disparagement, conspiracy and tortious interference. Defendants include Radio One, the radio stationâ€™s general manager Doug Abernathy, program manager Terri Thomas and morning show radio personality Nnete Inyangumia. Trae decided to file the lawsuit after the radio station officially banned his music from receiving airplay, and then began to interfere in his relationships with other music industry professionals. Radio One is the seventh largest radio broadcasting company in the country, and is the largest one targeting African American audiences in the U.S. The Box is the only hip hop radio station in Houston. The suit, which was filed by Houston attorney Warren Fitzgerald Jr., alleges that Trae was the subject of a radio ban after Nnete falsely accused Trae during an on-air interview of causing the violence which occurred at public festival which he sponsored. Ironically, Trae has arguably been the most active Houston rap artist when it comes to serving the local community. In 2008, Trae was honored by Houston Mayor Bill White and Council Member Peter Brown with his own â€œTrae Dayâ€ in honor of his outstanding community service. After Nnete had made the disparaging remark about Trae on the radio, he later released a â€œmix tapeâ€ that had a humorous lyric about Nnetteâ€™s weight. Trae notes, â€œI would not have filed a lawsuit, but when other people started being hurt by this ban, I knew I had to stand up.â€ The suit also alleges that a radio station staff member was suspended for a week and a half without pay for making a mixtape outside of work that had Traeâ€™s music in it. The employee, in fear of losing his job, and the ability to feed his family, had to end his relationship with Trae. Another alleged incident occurred when rapper 6tre Gangsta, an artist signed to Battery/Sony Records, asked Trae to be on his new single. However when KBXX found out about the song, they notified 6tre that the song would be banned. This resulted in the record community scrapping both the song and the music video that had been slated for B.E.T. Even Haitian earthquake victims lost out, due to the station refusing to advertise Traeâ€™s appearance at a benefit fundraiser. Other alleged incidents are listed in the lawsuit, the most recent being the firing of the â€œKracker Nuttz,â€ an on air DJ tandem, for their accidentally playing a song on the air by â€œChamillionaireâ€, which they did not realize had Trae on one of its verses. Ironically, the â€œKracker Nuttzâ€, who were 12-year veterans of the station, had the Number One rated radio show there. Trae is suing for general damages to his reputation, character, standing in the community, mental suffering, loss of professional opportunities, performance revenue, record royalties and other damages. Judge Randy Williams issued a restraining order prohibiting the radio station from destroying any evidence, including memoranda or emails surrounding the ban on Traeâ€™s music. A preliminary hearing is set for May 14, 2010 at 1:30 pm.